It is getting hot out there... we have been in the mid to upper 90's all this past week. Last night there was a bit of rain and so there is a little more green out there today with the sun high and hot. The peach trees are full again this year and our June tree is going to need to be covered because the birds have started attacking them. 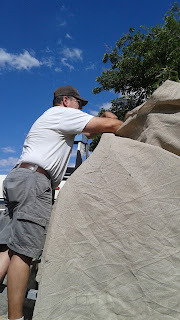 The covering will go up this afternoon or early evening or we won't have a peach to eat. Check out his Facebook page and video overview of the plan here. Everyone will write their own goals and we will be growing and learning about things we love all summer. for our youth group at our church. I am thankful that our children love going to church and spending time with other Christian teens. I am thankful that they love praise band time, Bible study time, and fun and games with their friends in such a positive place. My favorite denim capri pants and purple girly t-shirt. I have a sweater on because our air conditioner is running a lot more with the heat outside. I tend to be more cold than everyone else so when they are comfy I wear a sweater and I am fine with that. A girl needs her hobbies! check out the TED Talk on the blog post... it is fabulous! if I should take a salad to church dinner tomorrow along with the watermelon and cookies I already have ready. Salads are always a good veggie option for me when there might not be much more I can eat at these things. I am still basically eating the Whole30 way with a few tests being done every few days. My daughter and I are planning on reading some books together this summer. She is reading it in preparation for Senior English and college and I am reading it because I never finished it the first time I had it in the pile. for much more time for reading this summer... because I have a ginormous stack to work through and I want to start them all NOW! 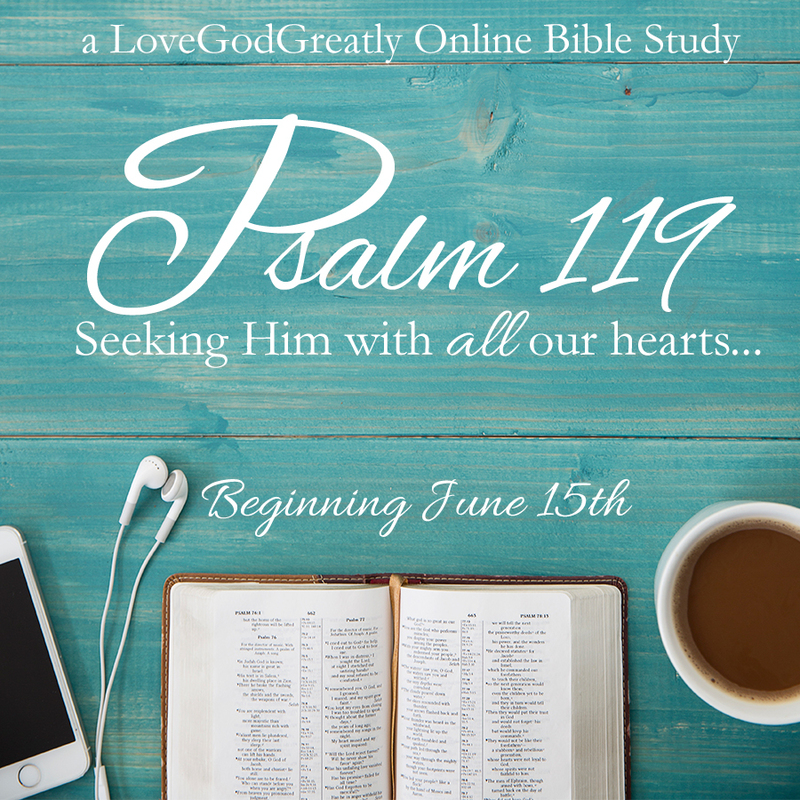 I am getting ready to start a new study with the Love God Greatly girls and we will be in Psalm 119 for the summer study. Registration starts Monday June 8th and the study begins June 15th. It is COMPLETELY FREE! I enjoy their Bible studies like this very much. We picked apricots this last week and had a Paleo Apricot Crisp last night. The apricots are still small and bitter each year but I managed to save them from the birds better this year. I love birds folks, but... mercy, they love my fruit trees! Covering that peach tree today. The Man pinning the netting fabric. The are lovely and bigger than last year's crop! I am still being lazy about gardening this year but have my eye on a few seeds for fall crops. I am hoping to really focus on the fall and herb gardening this year. I love being out digging in the dirt in the early morning hours and in the cool fall mornings especially. It stays very warm year round here so a winter crop is possible if you have the right veggies, too. 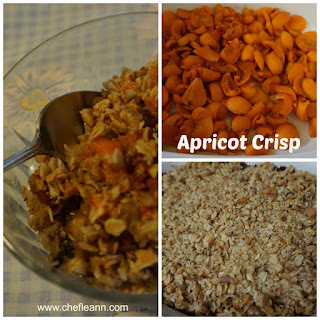 Here is that Paleo Apricot Crisp. Our sweet fur baby, Stormie Weather. She is now 12 years old. We have had her all of her life! 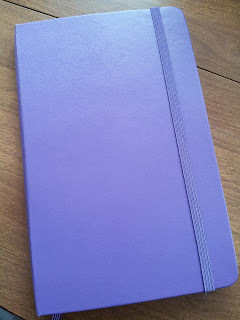 My Moleskine Bullet Journal is my very favorite organizing tool! 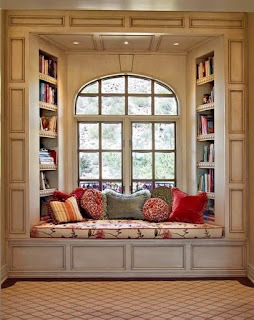 This link will also take you to this page on amazing Reading Nooks..... so dreamy! I have Lupus and I have been on a mission to find solutions for making me feel better through better nutrition. I have found that the Whole30 and mostly Paleo way of living is most successful for me at this time. Two of these links connect with that aspect of my life and the third one is just plain fun! I make my own sausage for this from ground pork or ground chicken. 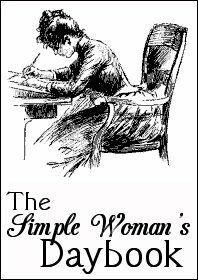 Do you like the Simple Woman's Daybook Meme? You can find her blog here and link up each week as you share your one daybook entry. I am going to check out the Bible study! I love that window seat!! Have a great week! I am going to check out the Bible Study too. I am memorizing James 1 right now but I am interested in yours as well. I never remember my grandma having nets over her peach or cherry trees when I was young. But if it isn't done now the birds won't leave any. 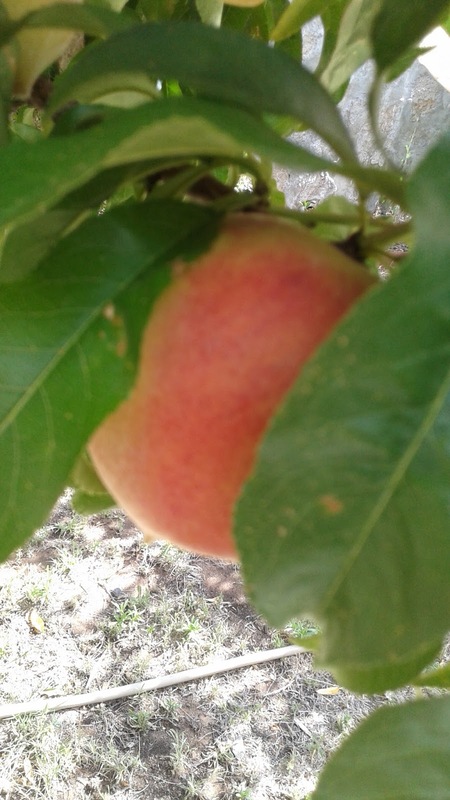 I have friends who have peach trees but they don't cover them. Sad! I've enjoyed reading here so much today! Thank you for the links you have provided. I've checked out many of them. I will be giving the Bullet Journal a try. The simplicity of it all is what sold me on the idea. I watched both videos you provided the link for. 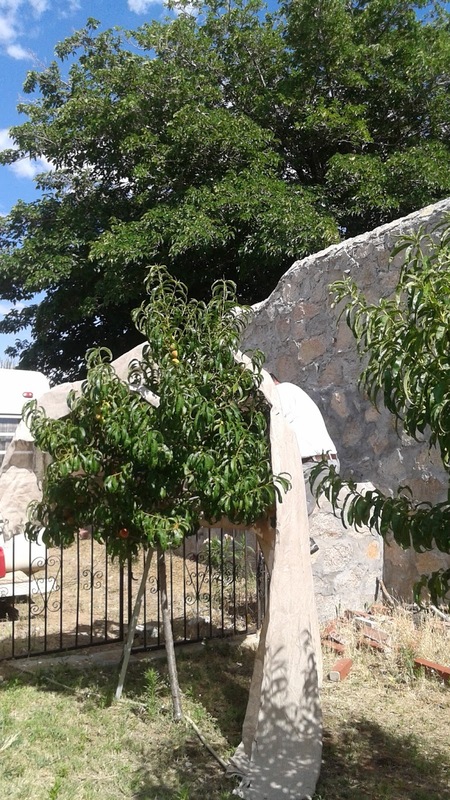 I certainly understand about the need to cover the fruit trees. We need to get our cherry tree covered this week or there won't be any for freezing. Oh...and of all the cool reading places, I pick #15! I could LIVE in that one small cubicle...I mean there is a place to recline, with all of my favorite books around me, PLUS that gorgeous window and the view! YES! Leann, I saw on another blog that birds are afraid of snakes, and that a rubber snake put in the tree keeps them away. But I'm not sure for how long. Might be worth a try!